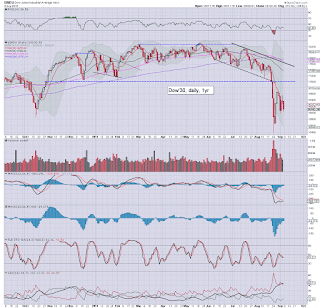 World equity indexes continue to weaken, with net August declines ranging from an extreme -21.7% (Greece), -6.6% (USA - Dow), to -4.0% (Russia). 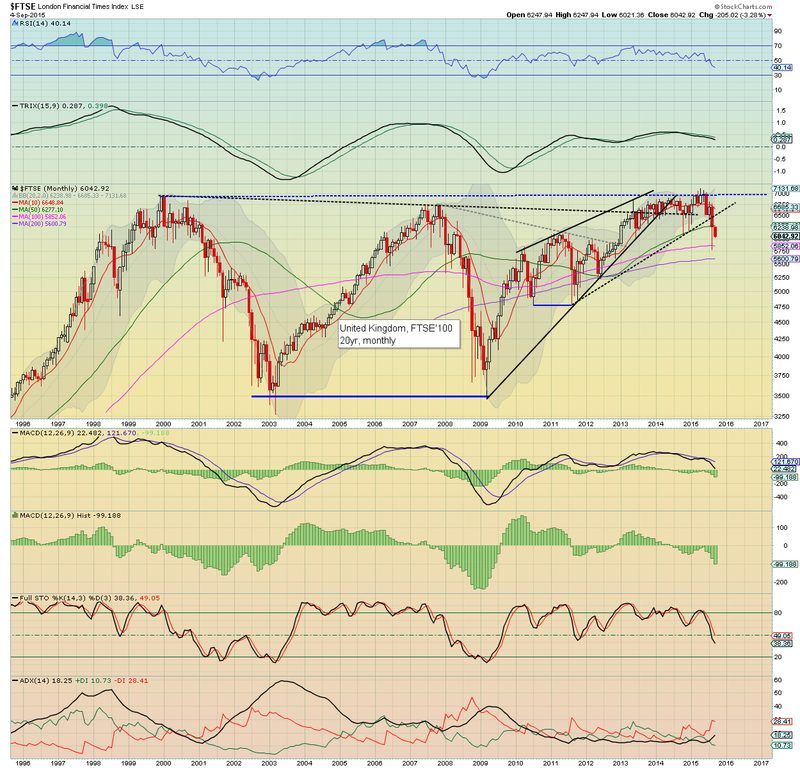 Regardless of any bounces in September, the outlook into October is for increasingly unstable markets. 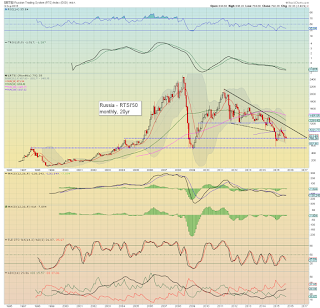 The collapsed economy that is Greece, saw its market fall -21.7% in August, with the Athex headed for the summer 2012 low in the 470s.. which is another 20% or so lower. An election is due around Sept' 20th, and that will no doubt cause further market turmoil. In terms of the macro-outlook, there is zero doubt Greece will eventually exit the Euro currency and return to the Drachma, along with defaulting on most (if not all) of its foreign held debt. Yet, even if that was to occur, it will take a huge societal shift in Greece to 'living within ones means' before there is any realistic opportunity of long term economic growth. 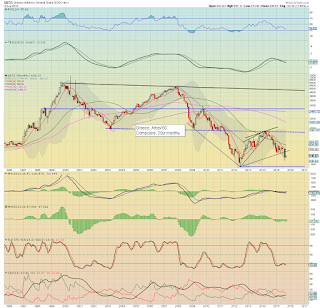 With commodity prices continuing to collapse, the Bovespa fell a severe -8.3% in August, and even took out support of 44k. Next support is not until 30k, which is a clear 30% lower. 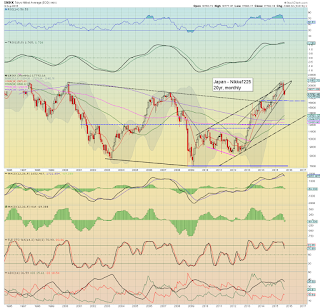 Outlook is very bearish. The French market fell -8.4% in August, with an intra low of 4230. The big 4K threshold looks a given by mid Oct', the real bearish question is whether the CAC will implode into the 3750/3500 zone - equating to sp'1700s - which does seem viable. The economic powerhouse of the EU - Germany, fell a severe -9.3%, breaking below the 10K threshold. 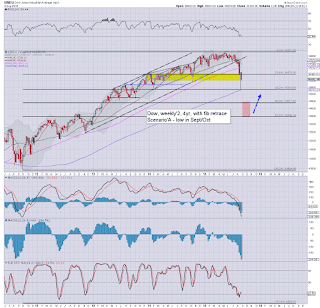 Further downside to the 8500/8000 zone looks highly probable within the next month or two. 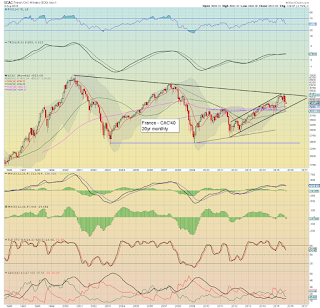 A monthly close <8K would be a monstrous bearish signal for other world equity markets, and offer the DAX @ 6-5k by spring 2016. The UK FTSE fell -6.7% in August, decisively taking out the rising trend that stretches back to 2011. 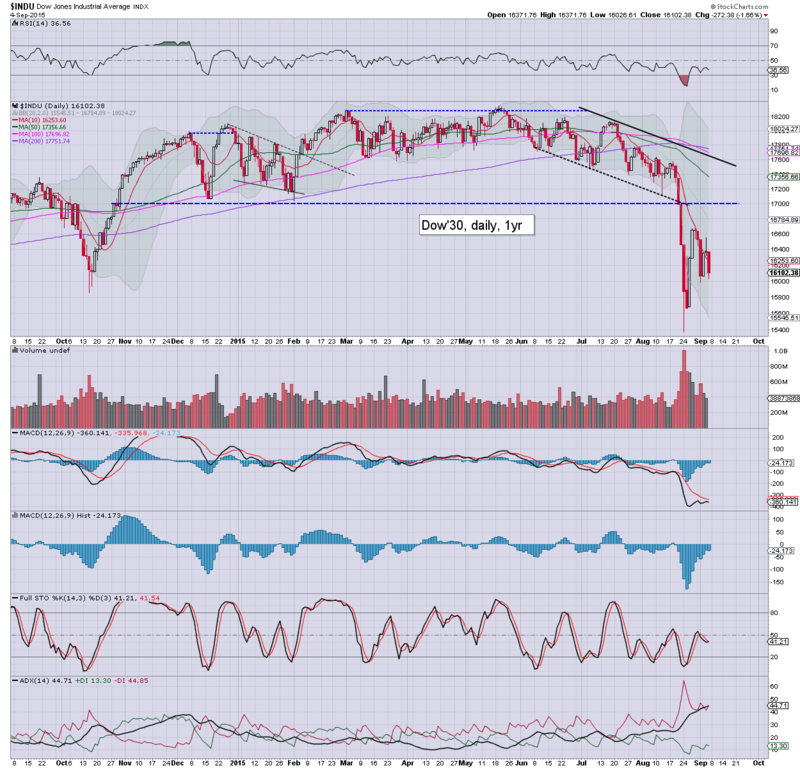 With a new cycle low of 5768, the door is wide open to the 5000/4750 zone. Underlying MACD (green bar histogram) cycle remains negative, and momentum is declining at an accelerating rate. 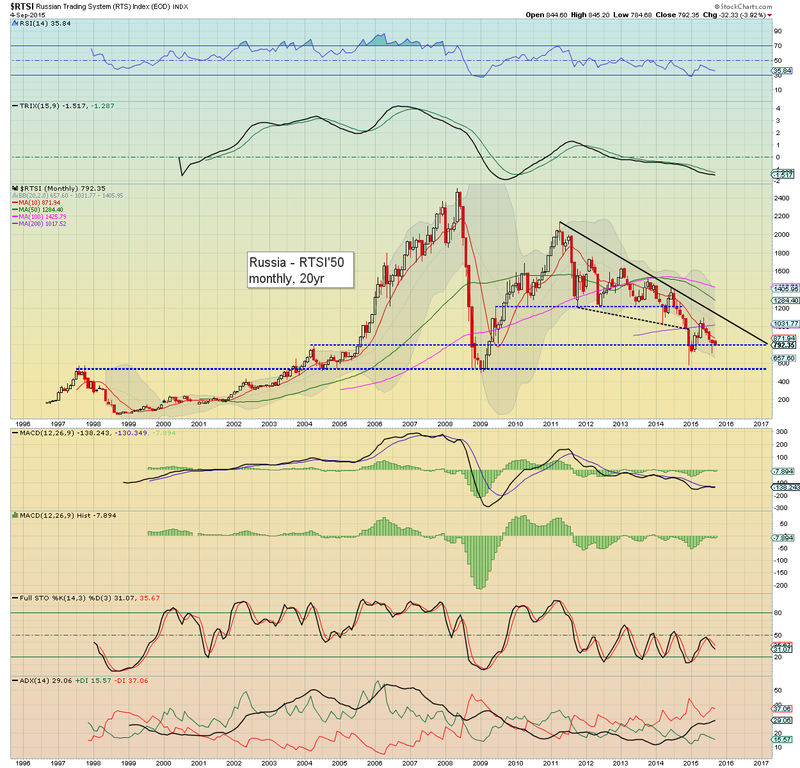 The ugliest of the EU PIIGS - Spain, saw a net August decline of -8.2%, with an August low of 9502. 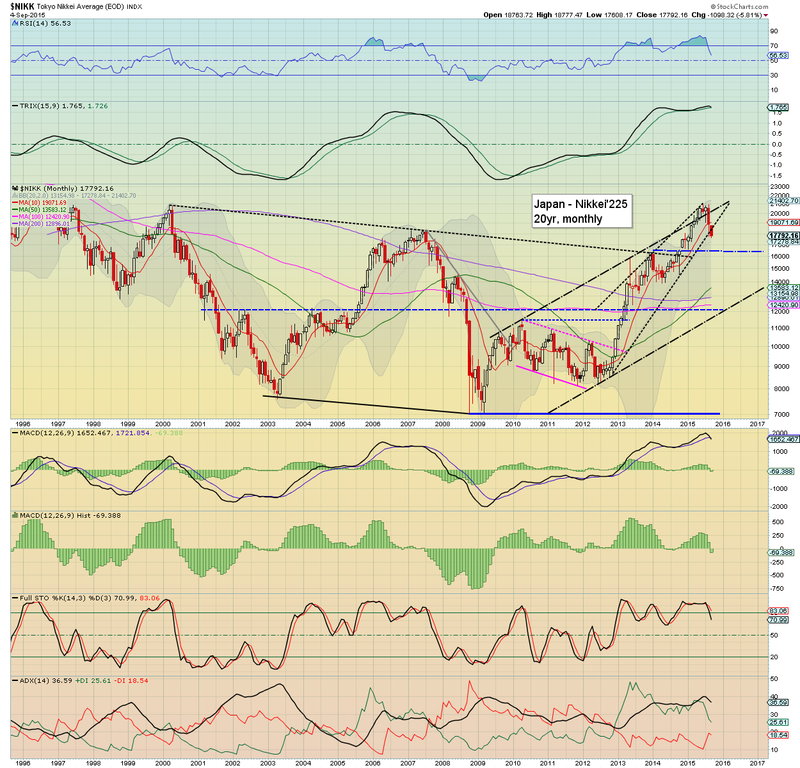 Having been unable to clear key resistance @ 12K, the IBEX looks headed for the 8500/8000 zone. Spain remains a huge (and still generally overlooked) problem in the EU. Eventually, when Greece revert to the Drachma.. Spain (and its neighbour Portugal) will duly follow. 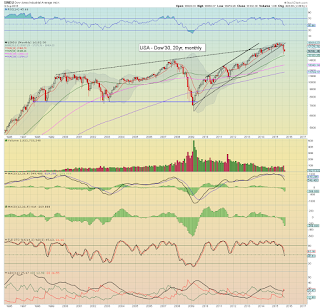 The mighty Dow fell 1161pts (6.6%) in August, breaking under the lower monthly bollinger band, to an August low of 15370. Regardless of any bounce into the next FOMC (realistic upside 17000/17250), increasingly powerful downside to at least the 14250/000 zone looks viable. Underlying MACD (green bar histogram) cycle is now deeply negative for the 7th consecutive month, and is at levels not seen since July 2009. 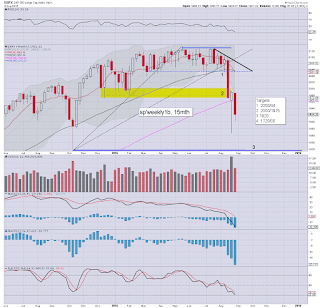 Outlook for the Dow (and all other US indexes) is very bearish into October. The BoJ fuelled Nikkei fell -8.2% in August, having cooled from around 21000 to the 17700s. 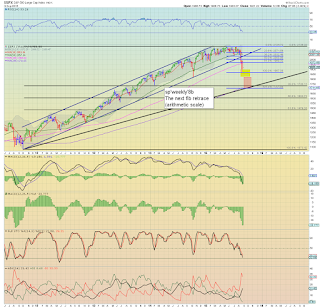 Further downside looks inevitable, at least to the 16500 level. However, there is the threat of the 14000s by mid/late Oct'. The Russian market was the most resilient market in August, falling by a relatively moderate -4.0%, although it remains at levels close to the collapse wave low of 2008/09. With energy prices set to remain subdued into 2016, the Russian market will likely lag other markets for at least another six months. 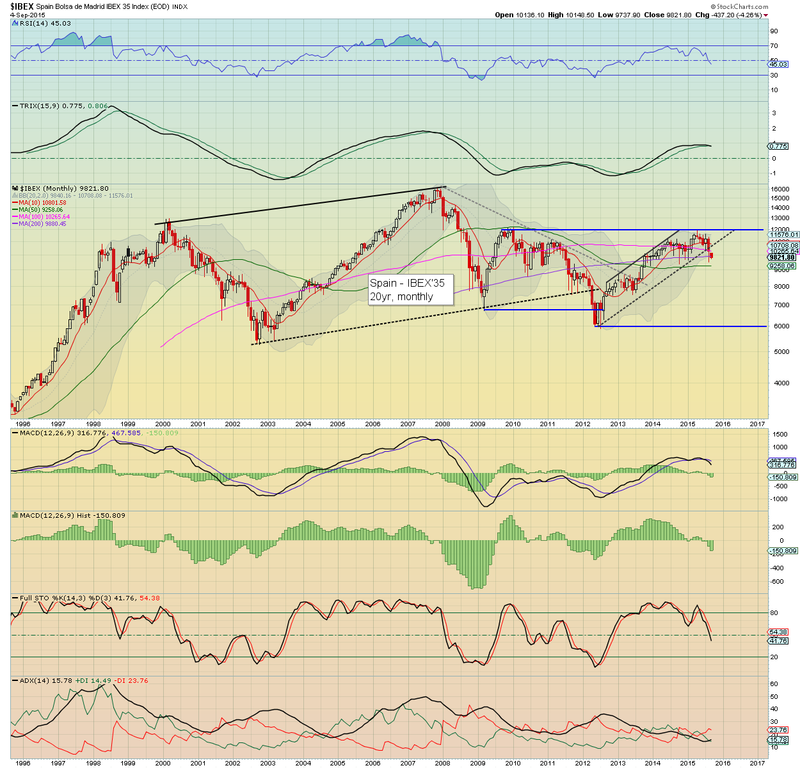 China saw the third consecutive net monthly decline, -12.5%, having broken a new cycle low of 2850. 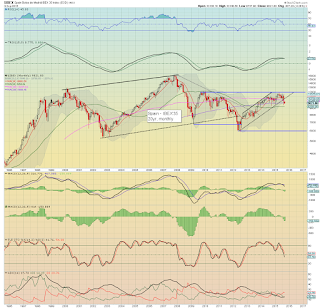 There is threat in the near term of a bounce to the 3500/600s, but broadly, it now seems probable (unless the Chinese leadership shut the market entirely), that the Shanghai comp' will continue lower to the 2500/2000 zone. 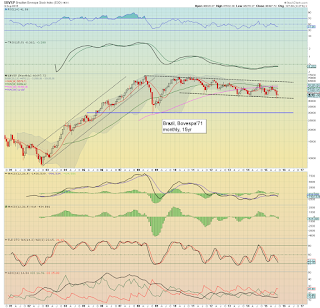 A decline to 2K would be a complete retrace of the gains since summer 2014. Tens of millions of Chinese retail amateurs will no doubt be really upset.. along with seeing their trading accounts zeroed out.. or worse. The one curious question that remains is how many scapegoats (media, 'malicious short sellers') will the communists persecute to make it appear as though they are fixing the problem of a collapsed equity market? Without question, August was the most bearish month for the collective world equity market since August 2011. There are key multi-year trend/support breaks across almost all national markets, and that certainly bodes for new lows across Sept/October. An obvious question is whether this multi-month down wave is just an intermediate top - of the wave from late 2011 (or summer 2012 in some countries), or a grand multi-year top from the rally that began in late 2008/early 2009. Right now, my best guess is that this is just an intermediate correction. 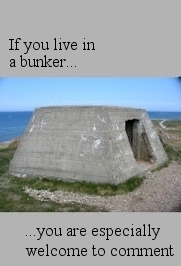 However, there should be clarity within the next 3-6 months. 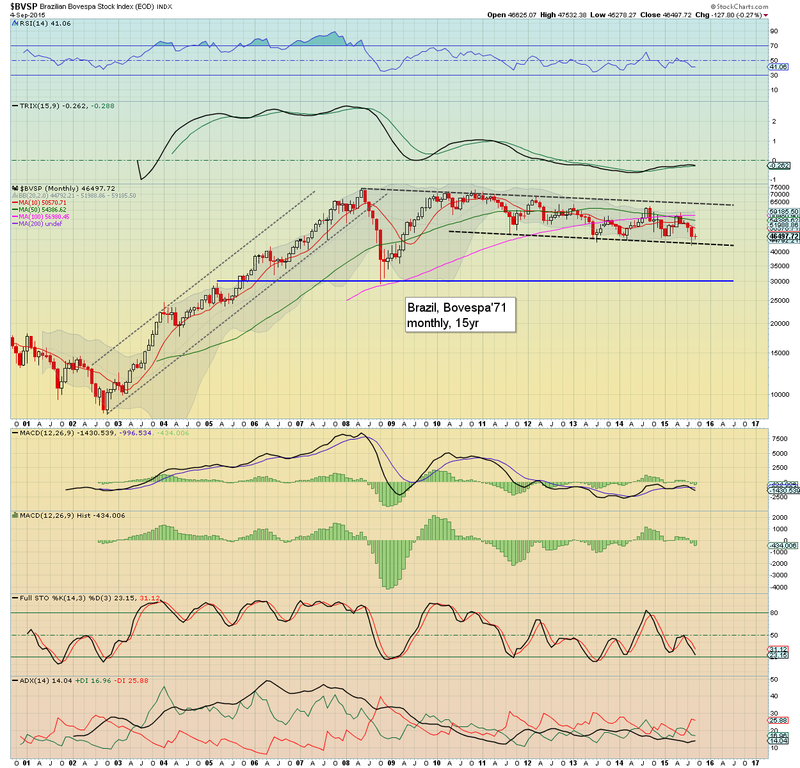 In the case of the German DAX, sustained action <8K would be indicative that the EU markets have maxed out, with broad downside all the way into 2017. Despite what the US federal reserve repeatedly claim, they clearly have the equity market as their primary 'data dependent' variable. 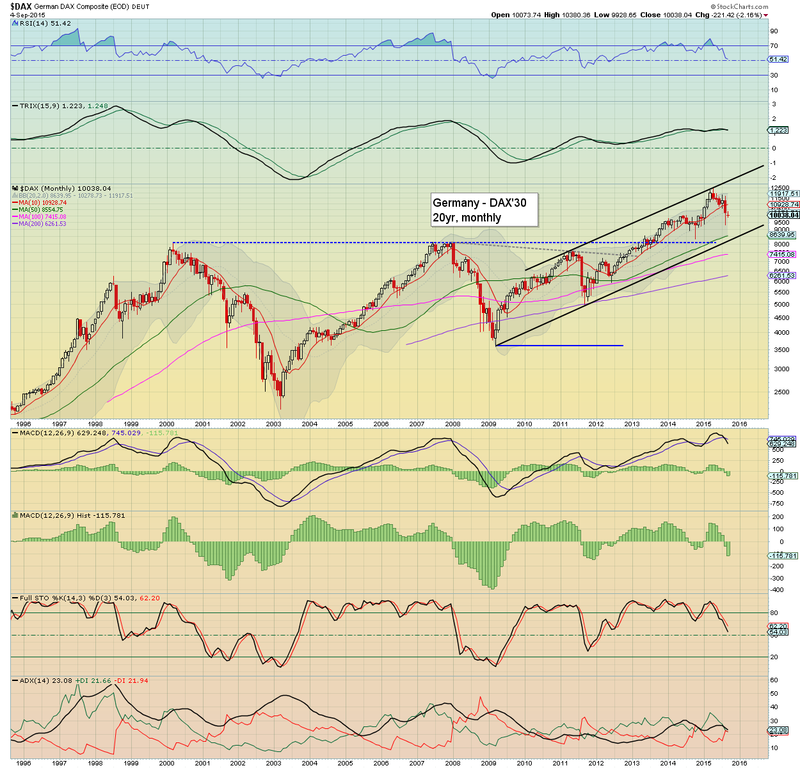 If the Dow falls to 14k.. or even lower, and then can't climb back to the 18000s, QE4 will be launched. Of course, the ECB and BoJ - along with some other smaller central banks, are continuing to print, as well as maintaining low or even negative rates. What should be clear to anyone... the coming weeks and months are going to be pretty wild. 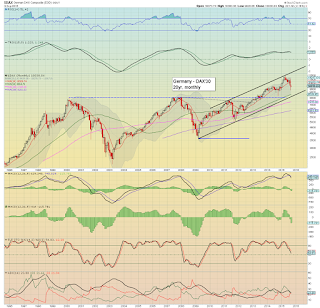 Regardless of any upside across the next week or two, the following sp'500 chart should offer some reasoning as to why I believe that not only will the Oct'2014 low be tested (its already been broken in some indexes), but that we'll probably fall to at least the low sp'1700s. There are a number of aspects of support in the low 1700s. 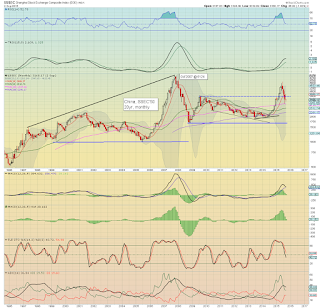 Below 1700, the next level is the double top of 2000/2007 in the 1500s. Indeed, there are a fair few big financial people touting the 1600/1500s by spring 2016.. and that might indeed be how this plays out. 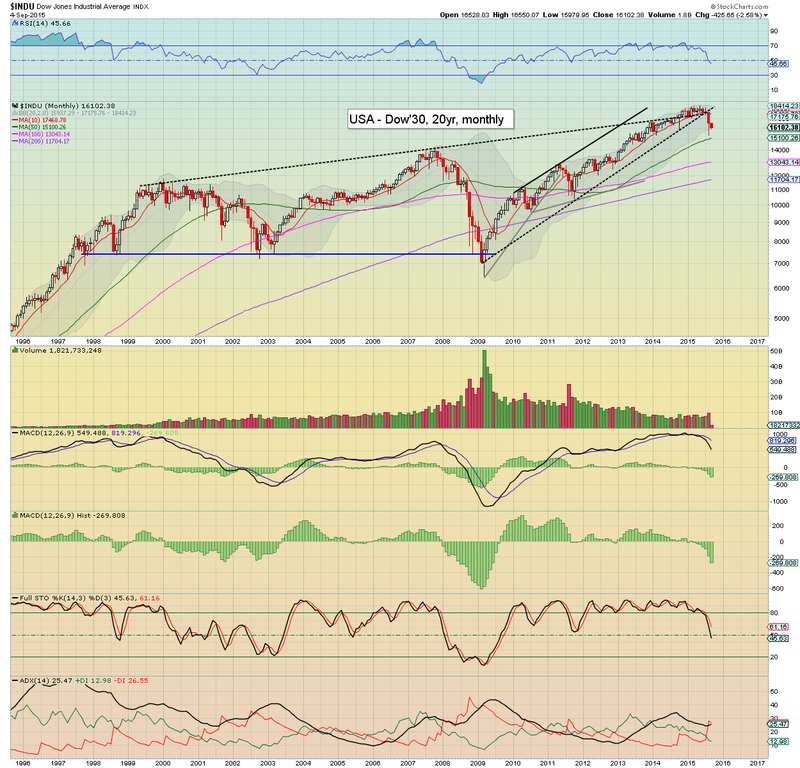 Seasonally, the market tends to floor in early/mid October, and then rallies into mid January. 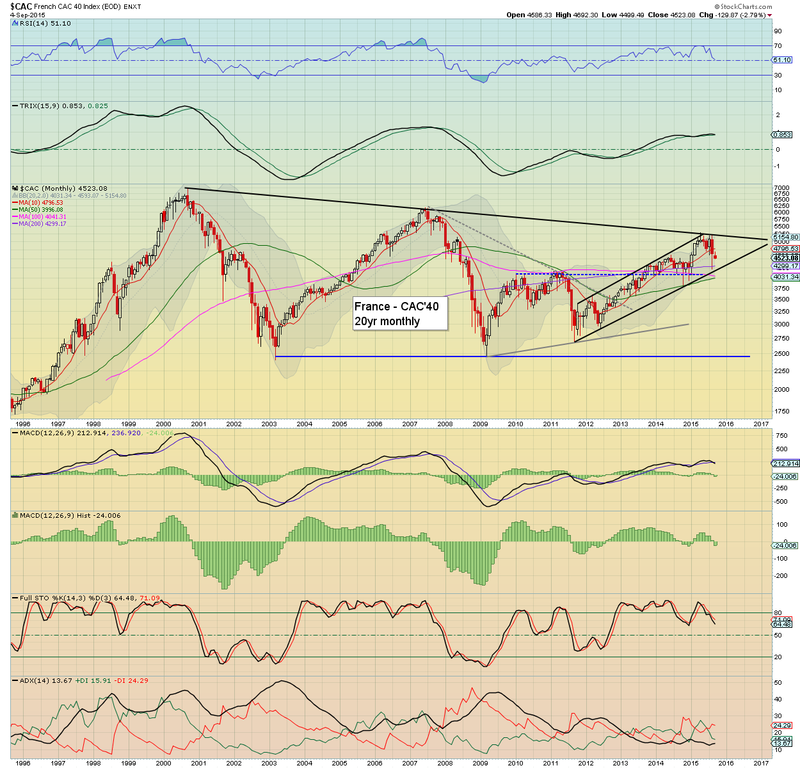 So.. if we are in the 1700s in Oct'.. there will be high threat of the 1950/2000 zone in early 2016 - where the monthly 10MA will be lurking. Anyway.. first things first.. lets see if the market has a short term high in FOMC week, and then rolls over into October. There is hardly anything of significance scheduled. M - CLOSED, although the EU and Asia markets will be open. 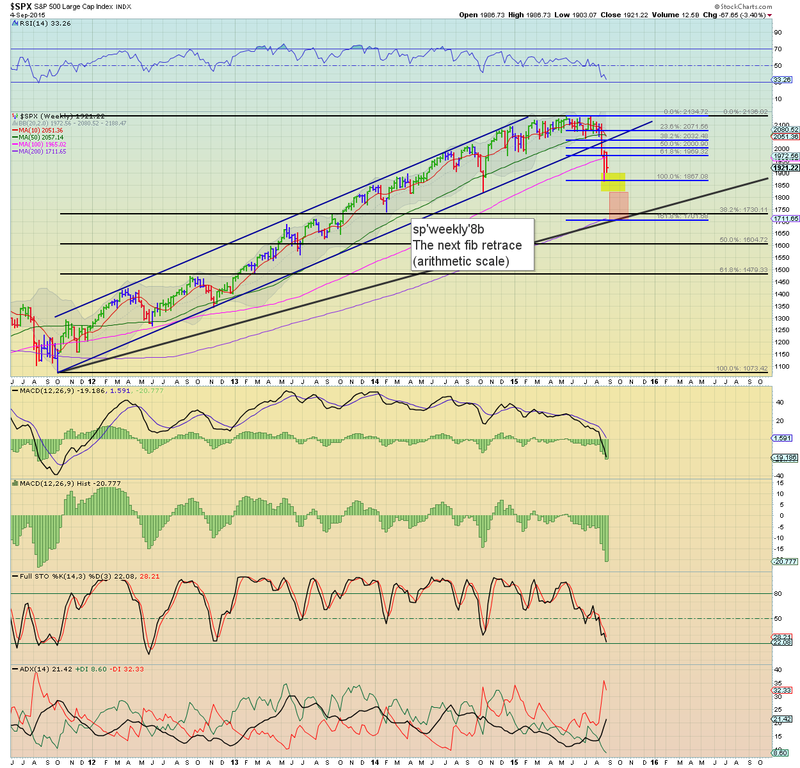 With the daily MACD cycles extremely low, I simply can't short this market right now. 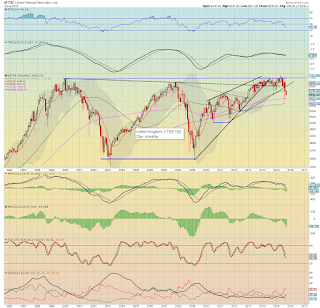 I'd only consider chasing the market lower on a decisive break <sp'1903. As things are, I am holding a micro AAPL-long position across the holiday weekend. With a little market hysteria next Tue/Wed - about the tech (Sept 9th) conference, I should have an opportunity at exiting AAPL in the 112/113s. 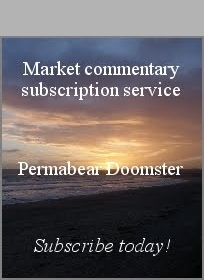 I remain largely on the sidelines, and have little interest to be heavy short until the FOMC is out of the way. 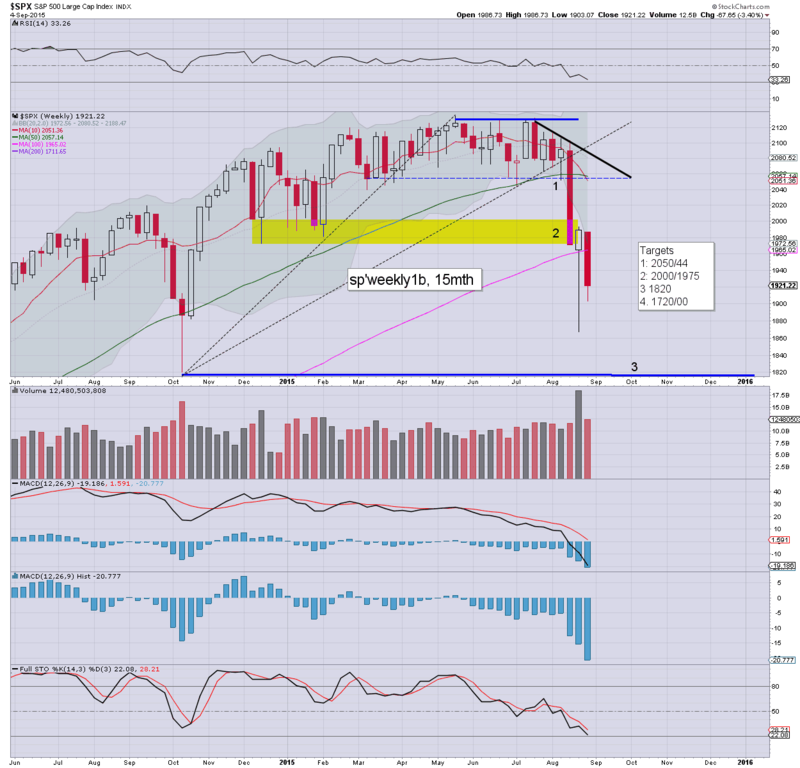 I am trying to be careful, before another severe down wave into late Sept/early Oct'. It was a third consecutive week for the equity bears, with the sp'500 seeing a net weekly decline of -67pts (-3.4%) @ 1921 (intra week low 1903). 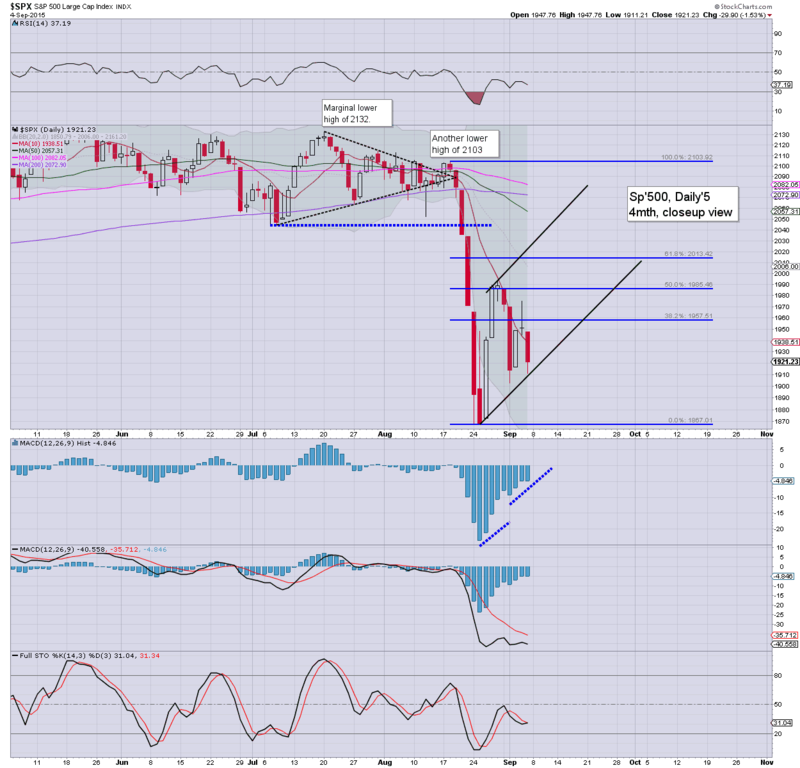 Near term outlook is borderline, if sp'1903/00 holds, then renewed upside to at least the sp'2000 threshold. *I'm calling it a third week for the bears, despite last week closing net higher, as it was a week broadly in favour of the bears, with severe downside to the double floor of sp'1867. It has been a long week.. and I think the above two charts are more than enough to take us into the weekend ! 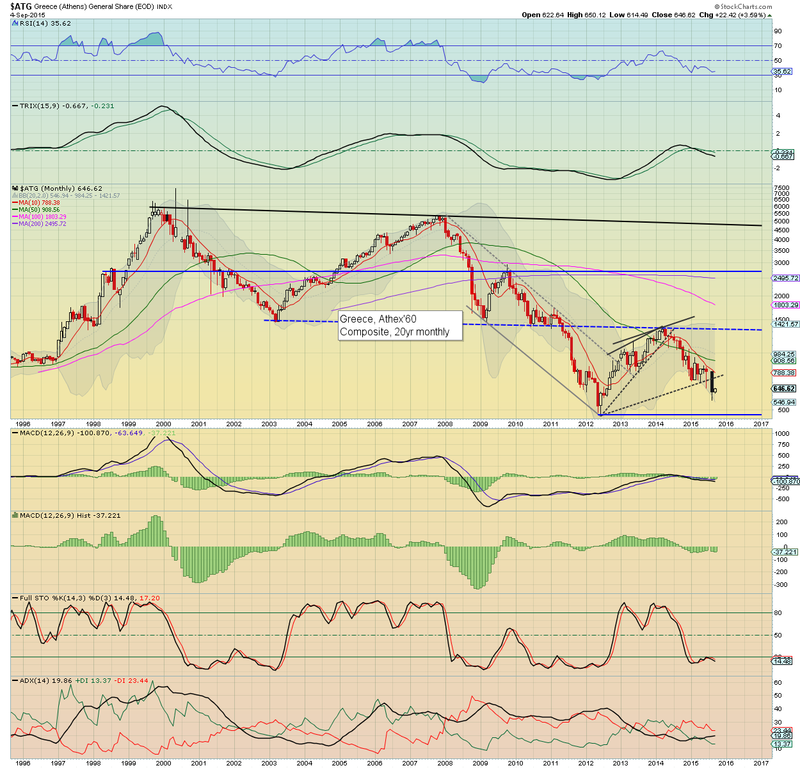 *the weekend post will be on the World monthly indexes. 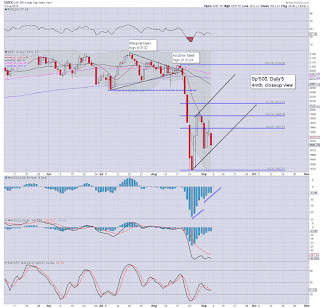 US equities ended the week on a very bearish note, sp -29pts @ 1921 (intra low 1911). The two leaders - Trans/R2K, settled lower by -1.0% and -0.8% respectively. Near term outlook is borderline, if market can hold >1900, then 2000 into FOMC week, otherwise... the bull maniacs have a real problem. Suffice to add, yet another significant net daily decline. It has indeed been a wild few weeks, with no sign that the powerful swings are going to end. 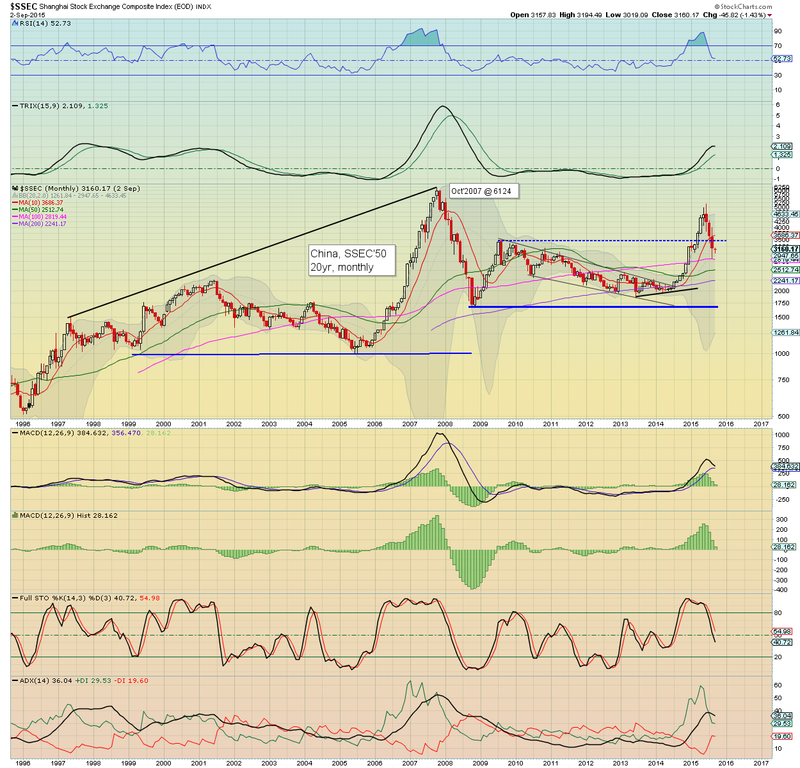 Best guess... renewed equity upside, at least to the sp'2000 threshold.. which would likely equate to VIX back around 20. Clearly though, if China/Japan have rough Mon/Tuesday sessions, then the US markets are going to open badly next Tuesday .. with sub sp'1900.